Directions:From I-140 merge onto TN-62 W, go approx 1.3 miles and take the TN-70 E/Edgemoor Rd exit, go approx 6 miles and turn right onto Oak Ridge Turnpike, go 1.2 mile and turn left onto TN-61W. Go .5 mi and turn right onto Laurel Rd. Go 4.1 miles and turn left onto Sulphur Springs Rd and go .7 mi. then turn right onto Pleasant View Loop. Go about .3 mi and see house on the left. SchoolsClick map icons below to view information for schools near 155 Pleasant View Loop Clinton, TN 37716. Home for sale at 155 Pleasant View Loop Clinton, TN 37716. Description: The home at 155 Pleasant View Loop Clinton, TN 37716 with the MLS Number 1069390 is currently listed at $149,900 and has been on the Clinton market for 19 days. 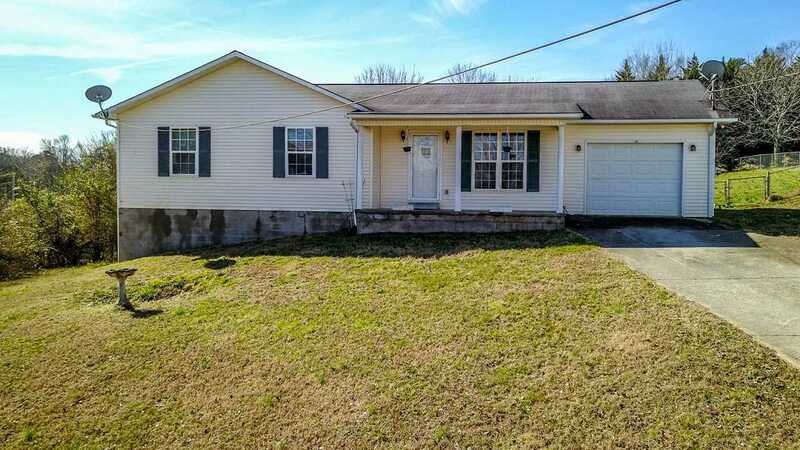 You are viewing the MLS property details of the home for sale at 155 Pleasant View Loop Clinton, TN 37716, which is located in the Black Oak subdivision, includes 3 bedrooms and 2 bathrooms, and has approximately 1266 sq.ft. of living area.